Pharrell Williams has recorded a song with Louis XIII Cognac that will not be released until 2117 and that we will “only hear if we care” to highlight the threat of global warming. 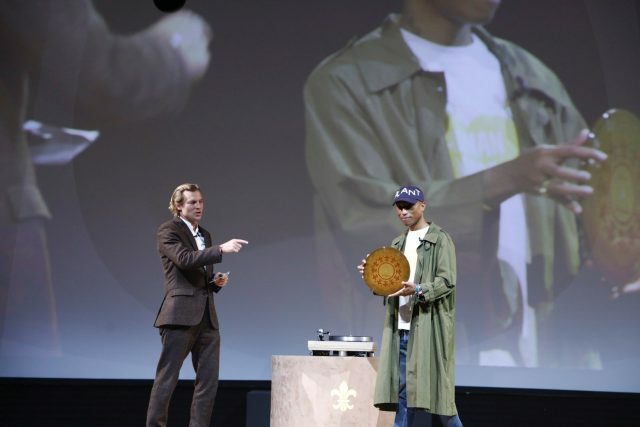 Pharrell’s track, recorded onto a record made of clay sourced from the chalky soils of the Cognac region, has been stored in the cellars of LOUIS XIII in a state-of-the-art safe specially designed by Fichet-Bauche, that is only destructible when submerged in water. If sea levels continue to rise due to climate change, scientists project that in 100 years, a portion of the world’s land might be underwater, including Pharrell’s record. “100 Years” premiered during a private listening party in Shanghai, where Pharrell presented the song one time only. Just 100 guests were in attendance, and were banned from recording the experience, with the song set to remain a secret for the next century. In 2015, LOUIS XIII partnered with renowned actor and creative visionary John Malkovich to create “100 Years: The Movie You Will Never See,” a short film depicting a number of possible futures depending on the actions of mankind.